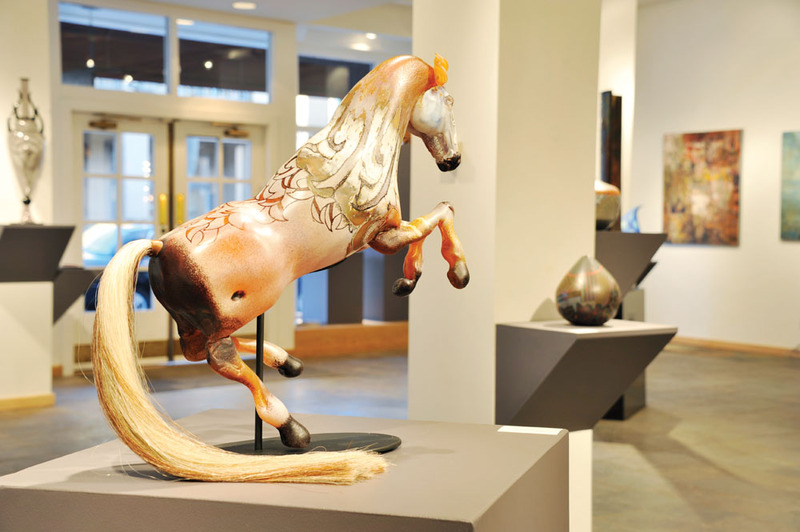 With locations in Santa Fe and Scottsdale, Blue Rain Gallery takes an expansive view of art, while staying rooted in Native American expression – a reflection of the forward-looking vision of its owners, Leroy Garcia and his wife, noted Santa Clara Pueblo potter and sculptor Tammy Garcia. “Amorphous” is a word you’ve used to describe Blue Rain’s evolution over 20 years. Leroy Garcia: Yes, continually changing. 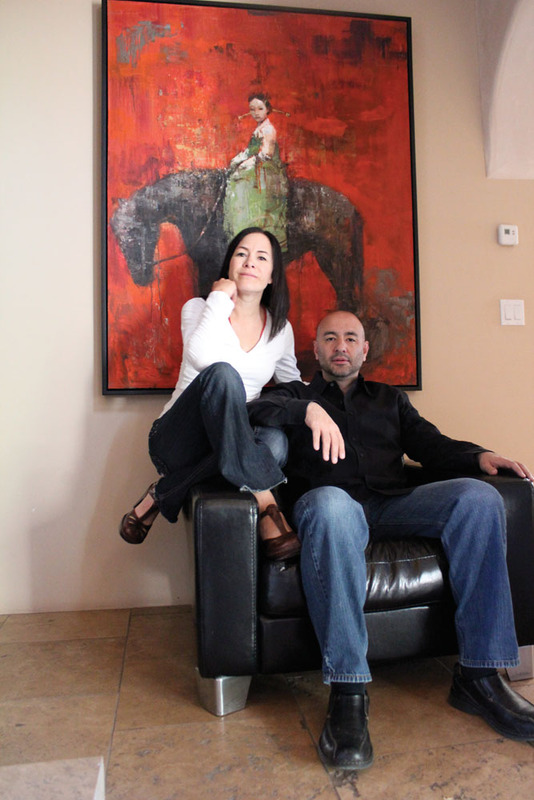 When we started off, we were purely a contemporary Native gallery. But the market has changed so fast and furiously that Native galleries are disappearing, to the point where we’ve ended up diversifying. 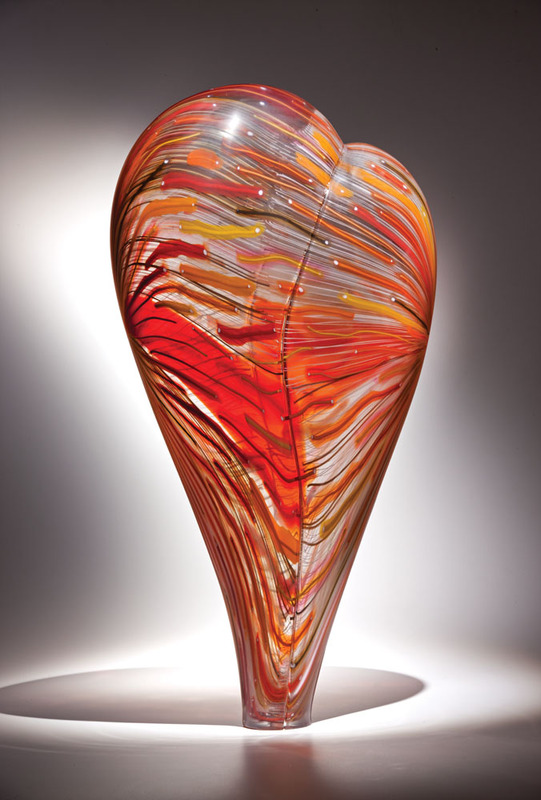 We’ve ventured more into glass, carrying artists like Rik Allen, Shelley Muzylowski Allen, Dante Marioni, Nancy Callan, Jeremy Lepisto. Our stable has become eclectic, but it’s all really high-caliber, great art. LG: I look for innovation, with refinement. Think about landscape artists in America. There are millions of them. But how are they painting it differently? And are they taking the time to execute it properly? Jim Vogel is a Hispanic painter, but his approach is more like Thomas Hart Benton’s; he’s capturing a mood, a moment in time that’s disappearing. 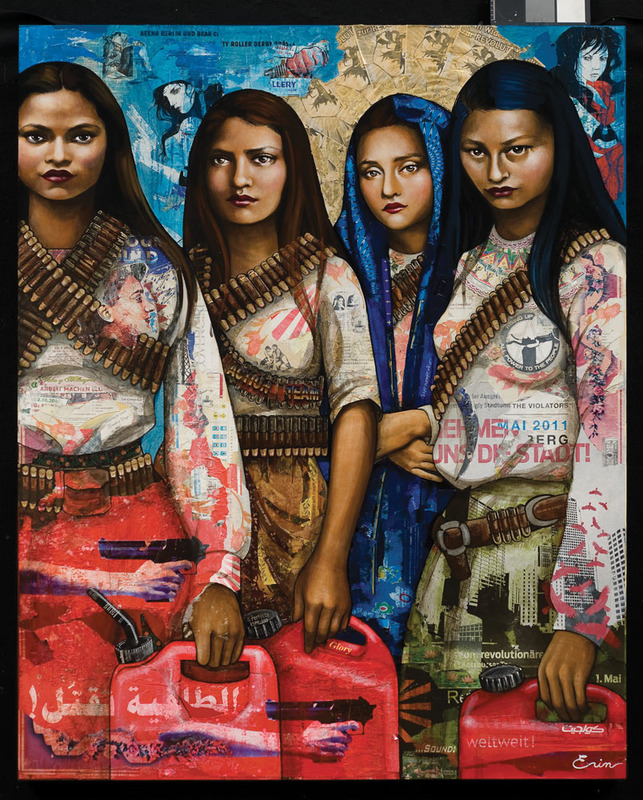 Another artist, Erin Currier, travels the world, collects trash, and with it makes collage paintings, all sociopolitical; she was in the Arab Spring in Egypt while it was happening. She follows that same process of complete innovation. Many people have preconceived notions of Native American art and craft. How close are they to the reality of what you show? LG: We’ve been doing shows across the country through the SOFA circuit and otherwise, taking Tammy’s work, along with glass by Preston Singletary and paintings by Tony Abeyta in particular [the three are of Tewa, Tlingit, and Navajo heritage, respectively]. We’re exposing them to markets that aren’t used to seeing or dealing with Native work. People are really shocked, because their perception of what contemporary Native art should be is completely different. That’s kind of wonderful. I remember going to a home in New York, and on their dining table was one of Tammy’s pots, flanked by Singletary glass, and on the walls were Rothkos and Picassos and Agnes Martins. You think, “How in the world does this Native art work in a contemporary setting?” And it does, beautifully. What does innovation mean for a Native American artist? Tammy Garcia: In talking about how art has evolved over the generations, innovation seems inevitable. The technology available to me, and what was available to my mother or grandmother – it’s just so different. It’s funny, talking to Leroy as a gallery owner and as a business partner: He knows the appreciation for traditional Native art and especially good-quality art. On the other hand, I feel like I’m traveling two roads – holding onto that tradition I truly love and appreciate, and also going off in a different direction to do what I feel is in me artistically. As partners, how do you find balance? TG: When we first opened, I would help arrange the jewelry, work on displays – the artistic stuff. But there quickly came a point where we both got so busy. For Leroy to handle the business and me to work on my art is definitely a great combination. TG: It’s a very full life.